Blechexpo will exhibit thermal and mechanical processing for sheet metal, pipe and profiles in Stuttgart from the 5th through the 8th of November, 2019. The portfolio will be supplemented by Schweisstec, which is dedicated to modern welding, joining and fasting technologies. Absolute trend topics and sustainable success experienced in recent years are making expansion into new dimensions possible for Blechexpo 2019! 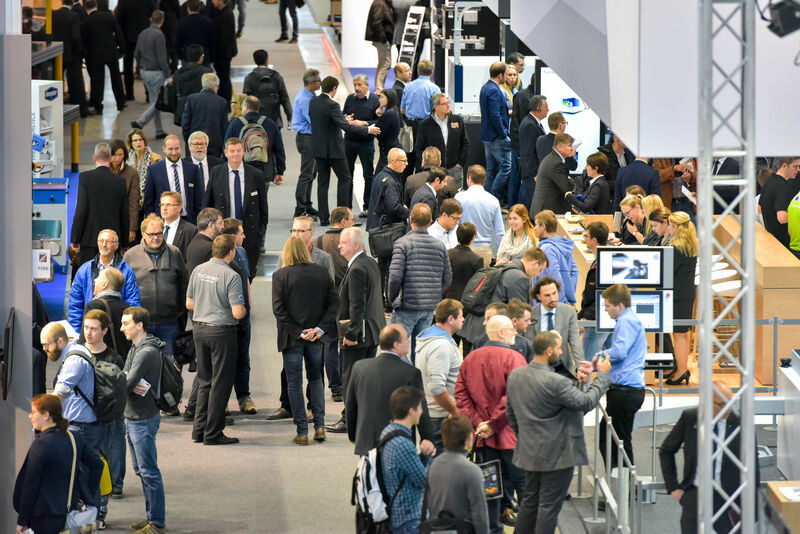 Roughly one year before the upcoming Blechexpo in 2019, private trade fair promoters P. E. Schall GmbH & Co. KG and Georg Knauer, project manager for Blechexpo and Schweisstec, have registered roughly 150 additional primary exhibitors and 10,000 square meters of exhibition floor space more than during the same period of time preceding the last edition of the double trade fair. “Companies who want to exhibit for the first time in 2019, or would like to participate as return exhibitors, should make their decision very soon, because we’re already getting close to topping the record-breaking results obtained in 2017.” Where bookings and reservations from foreign countries near and far are concerned, the figures are even being doubled: “With regard to technology companies from China and Spain, we’ve already exceeded the final numbers achieved two years ago 12 months before the event opens. We’re on course for growth with nearly all other countries as well!” The strictly practice-oriented concept of Blechexpo and Schweisstec covering all relevant issues and trends which affect the digitalised, automated world of sheet metal processing and metalworking is viewed by the project manager as one of the reasons for this boom. As a structural material – along with pipe and profile materials – sheet metal has evolved into a genuine alternative to conventional cast iron, steel and plastic constructions. Not massive, welded steel constructions or plastic parts which are highly complex due to numerous integrated functions, but rather intelligent, FEM-optimized, lightweight, modular component systems are shaping the patterns of modern vehicle, machinery and equipment manufacturing which reduces material consumption, weight and costs! Precision cutting, stamping and forming of high-strength and ultrahigh-strength sheet metal are just as much on the forefront at Blechexpo as innovative machine building solutions, tooling with a long service life and changing equipment for rapid tool changeovers. Pre-processing and final processing, module assembly and surface finishing of optically sensitive components, as well as lightweight design and construction solutions are also at the centre of attention. Not least of all, the technical event also covers associated issues such as handling and quality assurance, right on up to digitalisation and automation solutions.